The hardest part about visiting Southern Colorado isn’t finding something to do — it’s picking among such great options near Westcliffe, the Royal Gorge, Salida and the Arkansas River! Check out the various activities we have highlighted below via direct links.  These activities can all be found within different areas of Southern Colorado, and within reasonable proximity to The Lamp Post Lodge and Hillside Colorado Cottages – your getaway awaits! The nearby water options granted by the Arkansas River and Texas Creek include fly-fishing and river tours. But, for a true Colorado experience, explore the rapids that people from around the world venture to the Arkansas River to raft. There are several wonderful local companies with knowledgeable, accommodating guides. For those who prefer to keep feet on dry land, there are also some wonderful ATV and Jeep trails near Texas Creek and the Arkansas River — as well as great hiking and running trails for anyone who wants to self-motorize! 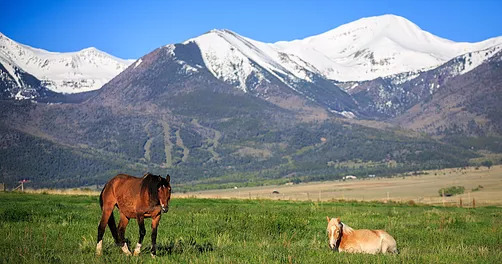 Although the neighboring towns of Westcliffe and Silver Cliff are small in terms of population, they offer larger-than-life views and plenty of family friendly events to go along with them. Highlights on the summer calendar include the Hardscrabble Mountain Trail 5K or 10K and Shakespeare in the Sangres in June, the High Mountain Hay Fever Bluegrass Festival in July, the Custer County Cowboy Gathering in August, the Hermit Pass Trail Run in September and Art for the Sangres in September. Other year-round local attractions include Bishop Castle, the Mission: Wolf sanctuary and more trails than we could count. And, with numerous art galleries, a fun-for-all bowling alley, plus the Historic Jones Theater for movies & productions, there are also great options for snowy days. The stunning San Isabel National Forest is a true gem — even among Colorado’s plentiful national forests! The trails make for desirable destinations year-round, whether you want to use snowshoes, cross-country skis or hiking boots. One of the most popular, for good reason, is the Venable and Comanche Trail Loops, a 12-mile trek that can be easily divided into smaller segments. The Rainbow Trail is also a popular destination for hikers, runners and mountain bikers. For hunters, the San Isabel National Forest offers the chance to go out on your own or work with a guide from local hunting outfitters. And don't forget winter Ski Season - head out for a day at Monarch Mountain - located 45 minutes west, then stop for a delicious meal in Salida on your way back! Canon City is perhaps best-known as the home to the Royal Gorge, which offers views from the top or by train or boat at the bottom. All that makes for a worthy day or weekend trip — before you even factor in the other wonderful trails and activities in Canon City. For a little balance, The Winery at Holy Cross Abbey is always a favorite. With fun local shops, breweries and plentiful dining options, Salida and Buena Vista also make for great destinations for visitors who don’t want to get their feet wet. And the whitewater-themed park in downtown Salida is a “can’t miss” for the littlest travelers.